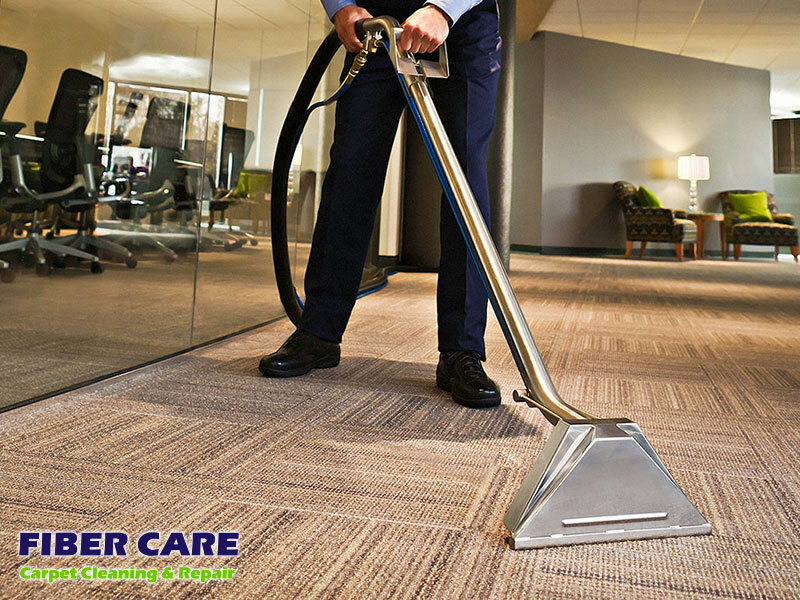 Fiber Care Carpet Cleaning and Repair is Your Top Cleaning Service Company in the San Francisco Bay Area. Serving Marin County, Napa, Sonoma, Solano, San Francisco & East Bay Counties. We Provide Professional, Best Quality, Carpet Cleaning Service at the best cost possible. We work to offer expert service that's well beyond our opponents. We're so convinced that our customers will be satisfied with the quality of the workmanship we now provide a satisfaction warranty on our services. Request our satisfaction warranty bargains today! Fiber Care Carpet Cleaning chiefly employs a steam cleaning system with a truck-mounted unit. 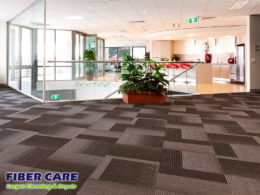 This approach, recommended by most carpet producers, is regarded as the very best and safest way of cleaning. A truck-mounted unit employs a potent gas-fueled motor rather than electricity to flip the elements. Hot steam kills many types of germs on contact as a strong vacuum extracts the germs, dirt, dander, allergens and other environmental pollutants from deep inside the carpet fibers without even resorting to shampoos and detergents. This technique will inject warm water with a gentle cleaning agent made to boost the suspension of dirt, then instantly pull it out with the highly effective vacuum of this machine. We don't recycle the water. We proceed most furniture which one person can proceed. We'll move furniture a couple feet, clean the carpet, and also return the furniture to your first place. Furniture is set on pads or blocks to reduce furniture stains on the carpet. Drying process. Based on the kind of carpet, the last measure can fluctuate. *If you aren't entirely happy with your carpet cleaning, phone in 3 -- 5 times of cleaning and we'll repair the issue. We advocate that your carpet ought to be cleaned at least once every year. When you have children and pets, then we propose cleaning every 3 to 6 weeks based on the number of visitors on the carpet. In Fiber Care Carpet Cleaning, Inc. we wash over simply your carpets. Our complete lineup of upholstery cleaning solutions will improve the attractiveness of your décor and match your carpet cleaning. Upholstery cleaning is the best method to put the finishing touches in your area, giving it renewed glow. Our upholstery-cleaning experts are experts at cleaning all of upholstery cloth types. We utilize a specially formulated deep-cleaning and sanitizing solution that breaks down small stains while loosening dirt, grime, and other embedded materials which produce your upholstery seem dull and dull. Our unique pH-balanced fiber flush protects the integrity of your upholstery whilst carrying off the loosened dirt, grime cleaning solution residue and neutralizing odors, leaving your upholstery looking and smelling fresh and clean. In case your upholstered furniture does not require a complete cleanup however but could use a comprehensive pruning to eliminate the long-term buildup of dust, dust mites, pet dander, pollen, and other particulate matter that may result in allergies flare-ups, call our experts. Our heavy vacuuming service will aid your family to breathe easier while providing your furniture a fresh lease on life, permitting you to wait around for this much longer prior to scheduling a complete cleaning. At Fiber Care Carpet Cleaning, Inc. your entire satisfaction is our principal objective. 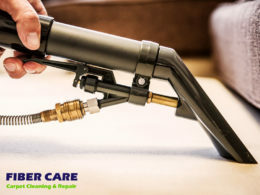 Due to excellent workmanship and long-term client relationships are important to us, we supply a 30-day warranty on our carpet and upholstery cleaning solutions. If you are not 100% satisfied with your upholstery cleaning, then just let us know anytime within 30 days and we are going to update the service absolutely free of charge. That is just how much we appreciate our clients! Your carpets are valuable -- do not induce them to unqualified or careless carpet cleaners! 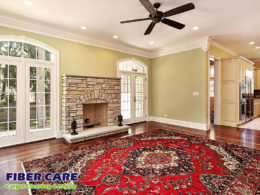 Fiber Care Carpet Cleaning takes pride in our understanding of specialty fibers and cleansing procedures of all sorts of carpets such as Orientals and other fine rugs. All carpets are attracted to our center to check colors and inspect until we wash. Pre-inspection decides the cleaning process best suited to your carpet's particular glow, dyes, and fibers. Most carpets need more than 1 cleaning, therefore it's more cost effective to our clients to the carpets to be retained at which we could track the outcome and be sure that the carpet is as tidy as possible. - Pre-Inspect and Scotchguard carpeting. - Eliminate dry dirt. Oriental carpet repair or restoration. - Handle any essential spots. Handwash. - Final review. Pet odor removal. *Your wash carpet is going to be wrapped up and wrapped in newspaper for pickup or shipping when requested. Do you understand that the most commonly recognized reason for flooring covering blot is pets. The toxins and germs within pet stain may damage your expensive carpeting from inside and impact the home environment. You do virtually every possible issue to eliminate tough pet stains but don't get success. Here, you don't have to place any of the attempt to eliminate pet stain because we're the specialist pet stain cleansers in Bay Area. We daily deal up with such stains and also make our clients satisfied with our very best pet stain removal services. Well, Do Not Worry! We can give you a hand in this. With greatest professional services of Fiber Care Carpet Cleaning specialists can quickly remove all of the pet stains from the carpet. Some pet spots are detected through musty scents while others aren't. However, our specialists notice all. Our specialists know that each carpet is exceptional and a comprehensive review has to be performed before we'll supply this procedure. In brief, elimination of gloomy odors, in addition to tough stains isn't any more a big deal for us. All treated regions become dried within this time frame and an odor of agreeable perfume is dispersed in your property. Regardless of how much more demanding the place is, we just utilize organic cleaning solutions. Together with our exceptional Organic Natural fruit infusion solutions, we have the ability to penetrate deep into the bottom of this urine/vomit/stool stain. With this three-phase pet stain cleaning procedure which includes our infusion procedure to break down urine also our natural soaking procedure, where we wash out any pee residue and also trace from deep inside the fiber pet stains are no more an issue. In Fiber Care Carpet Cleaning we all know that ceramic is possibly the most popular and commonly used kind of floors for kitchens and toilets. Why? Since it will not readily absorb water and dirt unlike any other kinds of floorings. However, on the downside, it may be a significant struggle to keep it clean, especially the grout lines. Normal cleaning may produce the tile surface of the floors look like brand new, but the odds of the exact same occurring into the grout are rather slender. Why? Since the little pores in the grout may permit dirt, debris, and other contaminants to become trapped under the surface, in which it can not be removed from regular sweeping or mopping. Otherwise attended, these surfaces could be a breeding ground for molds and mold that over time can be damaging to your family's wellbeing. For ceramic tiles, grout lines would be the toughest part to maintain clean and unsullied; and should not give appropriate care and maintenance, these grouts can start to disintegrate causing harm to your own flooring. To avoid this from happening, it is a good idea to have a comprehensive tile grout cleaning from the pros of Fiber Care Carpet Cleaning every once in a while. We must acknowledge that tile grout cleaning may be an extremely tedious job. Most importantly, your next best step in prolonging the lifespan of your flooring and making certain your tile grouts are well taken cared for would be to employ Fiber Care Carpet Cleaning which is going to do the task for you. We now have our own group of well-trained professionals that will evaluate the damage, clean and revive your grout and tile lines back into its initial condition by utilizing using the most recent equipment that has been tested to conquer even the nastiest plastic grout. Whether the flood was a result of burst pipes, natural catastrophe, or a backed up sewer line, you are going to wish your residence or business repaired promptly in the water damage. Our immediate, professional services give you the very best in carpentry and upholstery restoration so it is possible to get your own life back to normal as fast as possible. We're the reputable water damage restoration firm which serves the Bay area. In Fiber Care Carpet Cleaning we know what occurs to the furnishings and floors in your house the longer that water damage goes hurt. As soon as you telephone our workplaces our friendly, courteous staff will send a representative out instantly to your house or business. Once there, they will inspect the harm that's been caused and give you a free estimate for our services. We believe in customer satisfaction and know that you want all of the advice about what our providers supply and how much they will cost prior to making any commitment. Should you accept our free estimate, our group of water damage restoration professionals can arrive immediately with the equipment required to clean your carpets, carpeting, furniture, floors, and upholstery whilst eliminating the water. It's necessary that we move fast to wash and dry your house since the longer the water stays, the greater the likelihood of mold and mold to grow. Mold, particularly, cannot just harm the fibers on your carpeting, rugs, and furniture, so in addition, it can cause spores that may damage you, your loved one's members and pets which occupy the house. The exact same is true for workplaces as left unaffected, mold can't just alter the wellness of those indoors, it may really cause structural damage to your house or building. Our trained technicians have years of expertise in regards to cleaning up water damage from all types of homes and businesses. Our services are prompt, professional and finish so which you may return to your normal life as soon as possible. After we're done, we'll walk through the offices or home together with you to make sure that everything is covered. Plus, we provide a guarantee for our solutions so if something is missed, we'll return to clean this up. That's our guarantee to you. Our highly trained technicians use the wisdom we've gained through the years of experience can provide you the reassurance which you would need when you pick that must wash your floors. Hardwood produces a gorgeous look for your house, however these wood flooring can be sensitive to fluctuations in climate. They will expand and contract based upon the weather, and also you do not need them to have soaked in water. Our technicians have been trained to comprehend the special character of timber flooring and how to wash them. Even though you might use a dust mop or broom to sweep them we will use a distinctive wood cleaning procedure which extracts dirt which could be embedded in the organic pores of the timber, in addition to the debris which falls in between each bit. We utilize a specialist grade wood cleaner strong enough to get in the dirt which will elude youyet gentle enough to ensure that no harm is done to the protective coating onto your hardwood. We are going to leave your flooring looking amazing, and our eco friendly cleaning solutions will not be some lingering cleaning scents. Cleaning is the primary step. In addition, we provide you with the choice to employ a preservative that will protect your hardwood flooring from UV sunlight harm. We use protective coatings which are free of these waxy substances that may really make it more challenging to keep them tidy. Courteous, expert technicians trained on the latest carpet cleaning equipment to make sure you're 100% satisfied with Fiber Care Carpet Cleaning Bay Area. « Convenient appointments to fit your busy schedule - including Saturdays. « Extra attention paid to trouble spots and heavy traffic areas. « Truck-mounted equipment, for more powerful extraction and quicker drying. « Specialized Fiber Protection protectors and deodorizers. « Your carpet is groomed, allowing it to dry faster and distribute the carpet protector and deodorizer evenly. « FREE in-home carpet and upholstery cleaning estimates. « No hidden charges and Fiber Care's Guarantee of Satisfaction.